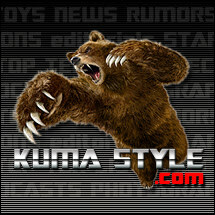 Toy Nippon: BBTS News: DC, NECA, BatmanVSuperman, Alien, TF Devastator, Terminator, Mortal Kombat & More! 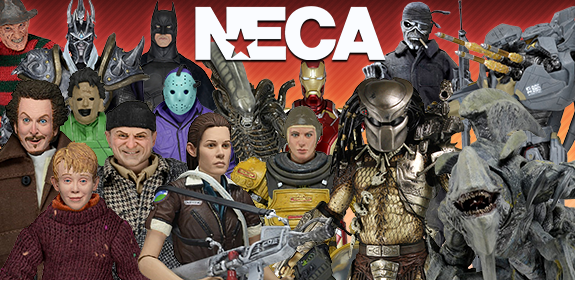 BBTS News: DC, NECA, BatmanVSuperman, Alien, TF Devastator, Terminator, Mortal Kombat & More! No Batman collection is complete without these intricately sculpted and highly detailed figures based on their appearance in the highly anticipated Batman: Arkham Knight video game. 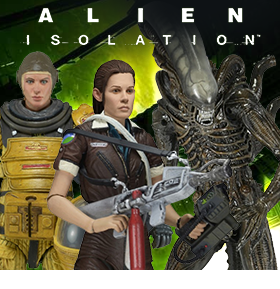 Each of the figures stand 6.75 inches tall and come with character specific weapons and/or accessories. Joining the lineup is Azrael, Man-Bat and Professor Pyg. DC Collectibles is continuing their Designer Figure Series with Green Lantern, Superman, Lex Luthor, and Batman. 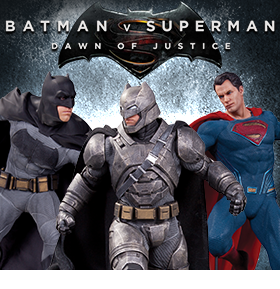 These four icons of the DC Universe have all new looks based on the artistry of American comic book artist Lee Bermejo and come with alternate hands and character specific accessories. Joining the DC Designer Series, Adam Strange, Batman, Supergirl with Krypto and Streaky, and Harley Quinn feature all new looks based on the artistry of Canadian comic book writer and artist Darwyn Cooke. The fourth series of DC Designer figures by American comic book artist Greg Capullo brings you his versions of Wonder Woman and The Joker. Wonder Woman comes with a sword and The Joker comes with an axe and revolver. SunSurge is the latest to join BadCube’s Old Time Series. This cool new figure transforms from a robot to a street racing speedster. Created in collaboration with Blizzard, these fantastic figures feature game-authentic sculpts and nearly 30 points of articulation for great battle poses. Series 2 includes Arthas (World of Warcraft™) and Tyrael (Diablo III™). Arthas comes with Frostmourne sword accessory, and Tyrael comes with El'Druin sword accessory. Each figure is priced at $24.99 or get the set for $41.99. Based on his appearance in the classic Friday the 13th video game, released in 1989 for the popular 8-bit home console, Jason stands 7" and has over 25 points of articulation for great poses. 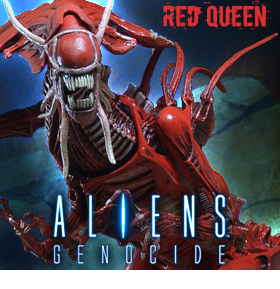 The figure comes with machete, axe, harpoon gun and removable mask, plus new mother's head accessory. New paint deco reproduces the game's pixilated look; and not only does the window box packaging re-create the look and feel of the classic video game cartridge box, lift the front flap and it plays music from the game, too! Gekiatsu Dai Oh is a combiner composed of six figures: HouhouMaru (Phoenix), GenbuMaru (Turtle), SeiryuuMaru (Dragon), ByakkoMaru (White Tiger), PandaMaru (Panda), and MagoiMaru (Black Carp). These six figures are also able to combine with Lion Ha Oh to form Ha Oh Gekiatsu Dai Oh! Gekiatsu Dai Oh also is able to fire projectiles from his chest. Zhang Fei (courtesy name Yide) was a military general who served under the warlord Liu Bei in the early Three Kingdoms period. In the year 221 Liu Bei declared himself emperor and promoted Zhang Fei to General of Chariots and Cavalry, but later that year Zhang Fei was assassinated by subordinates when they defected from the army. This amazingly detailed figure depicts the great general in full armor and comes with a ton of accessories. We also have his warhorse, in full battle regalia to create a great display in your 1/6 scale historical or military figure collection. Zang Fei is listed for $184.99 and his horse is listed for $99.99; or you can get them together in a set for $294.99. Just in-time for the widely anticipated Fallout 4, this series merges the post-apocalyptic Fallout charm with the compact gamble of Mystery Mini figures! Each box is a 1 out of 12 chance to produce a Lone Wanderer or villains like the Brotherhood of Steel and Super Mutant! Perhaps your box holds a member of the Tunnel Snake gang or a murderous Raider! These Mystery Minis also include depictions of Fallout player perks like the Black Widow, Nerd Rage, and Grim Reaper’s Sprint! Get the blind box of 12 for $69.99 or take a chance with a random single for $7.99. 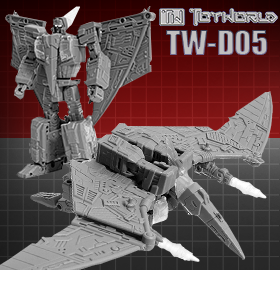 Blitzwing and Astrotrain unleash multiple modes of mayhem on the ground, in the air, and in outer space. Can the Triple Changers be stopped? 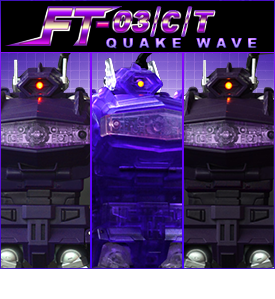 Gear up for triple Transformers action with these 3-in-1 Triple Changers! Your Blitzwing figure is a robot menace with a sword in one hand and a blaster in the other. He can take the battle over the ground in tank mode or to the sky in jet mode! 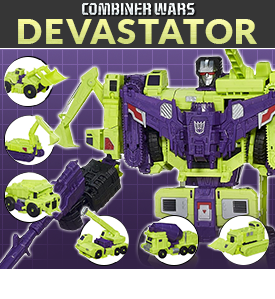 He'll be the perfect ally for your Astrotrain figure, who can rumble to battle in train mode or take it off the ground in space shuttle mode! Can the Autobots hope to contend with this multi-mode menaces? It's all up to you! It was a golden season for the Golden State Warriors! After finishing the 2014-15 season with a NBA-best record and a franchise record 67 wins and posting the second best home record in NBA history, the Golden State Warriors ended a forty year drought and claimed their fourth NBA Championship. Each highly-detailed figure in this three-pack is depicted in their blue uniform with the official NBA Finals patch and showcased on a basketball sectional base with the Golden State Warriors NBA Championship logo. As an added bonus, each 3-pack will include one scaled replica NBA Championship Trophy and one NBA MVP Trophy (Curry). In a hole in the ground there lived a hobbit. Not a nasty, dirty, wet hole. It was a hobbit-hole, and that means comfort. The Green Dragon Inn environment is an exacting miniature replica of the favorite watering hole of the hobbits and is listed for $129.99; and the 35 Bagshot Row environment features the distinctive brick and thatch-roofed extension that is the home of Mr. Bilbo Baggins and is listed for $39.99. This 1/6 scale figure is wearing a Tang suit with an Eighth Route Army fatigue cap and includes a belt with holster to hold his Mauser C96 pistol. This cool figure also comes with a die-cast metal and wooden rail track section diorama that will make it the centerpiece of your 1/6 scale collection! These highly detailed British sniper rifles are in the 1/6 scale making them perfect for any 1/6 scale military figure collection. They feature the S&B Sight, holographic battle sight, folding fore-grip, tactical bi-pods, Laser Light Module, both the P-Mag and STANAG 7.62mm magazines and come with a display stand. We have versions 01 and 02 in black, olive, and tan for $39.99 each. It's going to take all the might of the Avengers to defeat Ultron -- and you can start assembling the team with this Marvel Legends 4-pack! With Thor's incredible hammer at the ready, Hawkeye's bow poised, Black Widow's batons in hand, and Bruce Banner's super smarts in the game, the battle is set to begin! These Thor, Marvel's Hawkeye, Black Widow, and Bruce Banner figures feature movie-inspired designs that let you imagine the Avengers taking on Ultron. Who will be the victor? It's all in your hands! Assemble your good guys to join the fight for humanity! WB03-B transforms from a robot to a sports car and also becomes the right leg of the mighty Warbotron combiner. 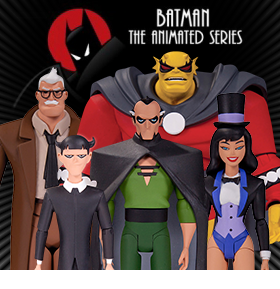 This special edition action figure 4-pack celebrates Batman's 75th Anniversary—with figures of the legendary Dark Knight based on the designs of Greg Capullo, Alex Ross, Frank Miller and his look in Super Friends. All four of the 6.75 inch tall figures come packaged in a special anniversary tin. Get the latest ultra-deluxe kaiju action figure from Pacific Rim, the winged form of Otachi, with a massive wingspan of nearly 2 feet. 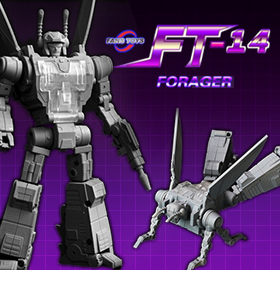 It's extra-detailed, fully articulated and to scale with the Jaeger action figures, plus it includes the new Flight Stand that not only allows "in flight" poses, but can hold a Jaeger figure so Otachi can "carry" it aloft! Otachi also comes with interchangeable tongues, and the damaged tail stub on this figure can be removed to attach the full tail from the previously released Land Version of Otachi (sold separately). The smallest Marvel movie hero is now the next big Marvel Select action figure! From the upcoming Marvel Studios film, "Ant-Man," this 7-inch scale figure captures Paul Rudd as Ant-Man, with detailed paint applications and 9 points of articulation. This exclusive version comes with two interchangeable heads – with mask and without, 6 interchangeable fists, and a miniature Ant-Man figure! The war between Autobot and Decepticon rages on, and with Thundercracker in the fight, the action gets more intense all the time! This awesome Thundercracker figure is a massive force for evil in robot mode with an enormous arsenal of blasters and other weapons. Thundercracker transforms from robot to supercharged jet and comes with 5 accessories, collector card and instructions. This 8-Inch Penny Action Figure features her look in an episode of The Big Bang Theory. This retro style action figure features multiple points of articulation and will look great on display with the other 8 inch figures from The Big Bang Theory lineup by Bif Bang Pow! Longtime Teen Titans arch-villain and current foil to TV's Arrow, Deathstroke, is captured as this cute POP! vinyl figure! Standing 3.75 inches tall and sporting the cute, stylized design that have made these figures so popular, Deathstroke is available in Regular and Metallic versions! Regular orange & gray/blue color is $15.99 and the metallic version is $11.99. This completely clear, 3 inch tall version of Starscream is half the size of the MN-05 regular version but still features multiple points of articulation and LED light up eyes! When master thief Scott Lang puts on his Ant Man helmet, he can shrink to half an inch tall. But his strength doesn't shrink with him, so when he throws a punch, watch out! And that giant winged ant by his side? Well, how else would you expect a microscopic Super Hero to travel? Imagine your own Ant-Man adventures with this movie-styled, 3.75-inch Ant-Man figure and his trusty steed, a winged ant! Pose them separately or pretend Ant-Man has summoned his giant winged companion to transport him into battle against evildoers!